Arise Collection 1-Light Antique Bronze Bath Light Arise is just the inspiration you need in the morning to face the day. Softly sculpted glass sits atop an elegantly simple frame combines both straight and curving forms. Included bulbs provide bright illumination that is evenly diffused for perfect lighting in your bath or powder room. 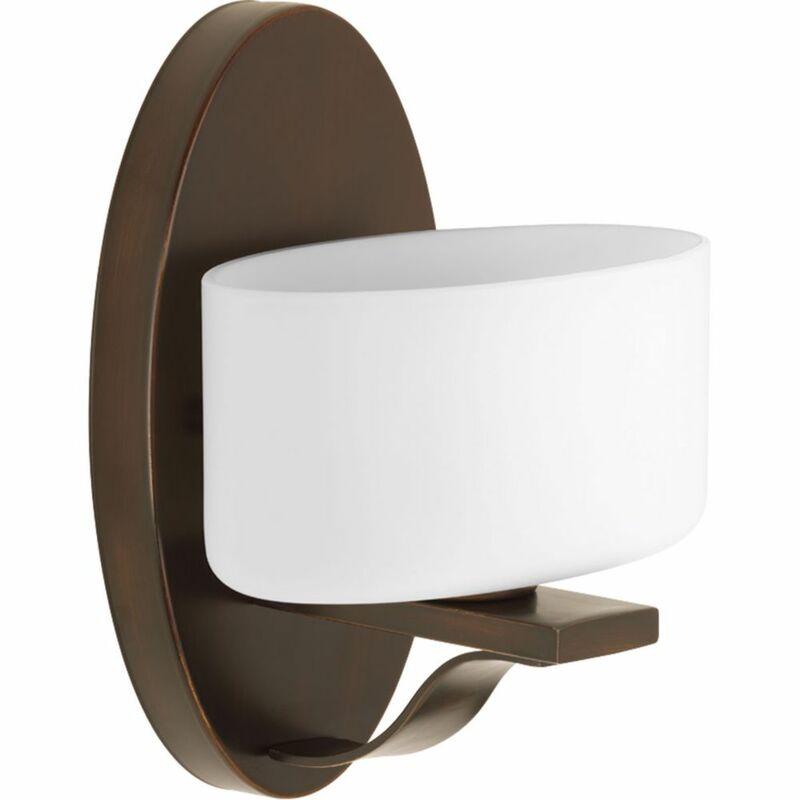 Arise Collection 1-Light Antique Bronze Bath Light is rated 4.0 out of 5 by 1. Rated 4 out of 5 by Shirley from Just was installed by my contractor will know more in... Just was installed by my contractor will know more in a week. Looks great though!